Thanos turned half of all life to ashes at the climax of Avengers Infinity War. A universal death date for half of every person on Earth would pose many challenges, such as who died? Were the deaths proportional across cities or were some places hit harder than others? There are people key for delivering services for societies to function. Did 80% of doctors in Los Angeles turn to dust, while only 20% of doctors in New York City? How many people who can run a nuclear power plant are left alive? And the big one: How many Probate Judges were not turned to dust? Many people have well dynamic estate plans. This could cover anything from wills for distribution of property to trusts providing financial support to where they went to college. Those who die without a will have their property distributed according to intestate succession. In a world where 50% of the U.S. died at once, courts would be flooded with survivors trying to put society back together. 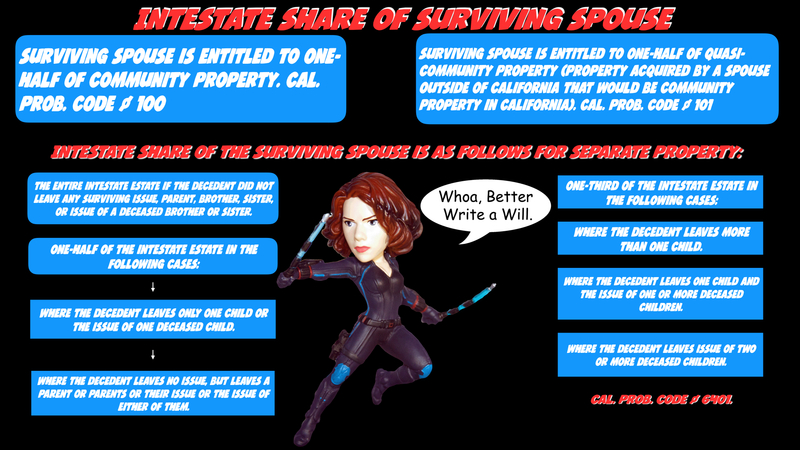 Estate law is governed by each state. While there can be variations, generally states have very similar requirements based on centuries of probating estates. The most basic will is a statutory will, which is a form document where the testator (person creating the will) fills in the blanks of the pre-printed will, signs it, and has witnesses who observe the testator sign the will, before signing the will in the presence of the testator. Cal. Prob. Code § 6221. Having one of these wills is better than nothing, but it might be lacking for more thoughtful estate planning. An attorney ideally prepares formal wills after careful consultation on the wishes of the testator. Formal wills require the testator to sign the will in the presence of the two attesting witnesses, or acknowledge their signature to each attesting witness separately, and declare to them that his signature is on the will. Witnesses are required to sign the will and list their addresses. N.Y. Est. Powers & Trusts Law § 3-2.1. A holographic will is not as cool as it sounds. 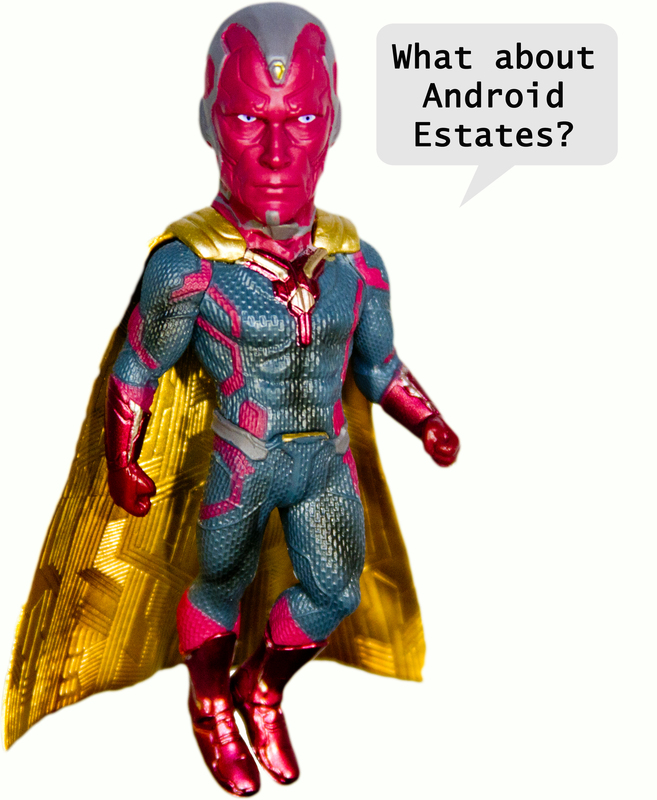 These wills are not video form wills created by a Stark Industries app, but a testimonial document that is in the testator’s own handwriting that cover the material provisions of a will and signed. These wills do not need to be witnessed. However, undated holographic wills can be subject to challenge if it contains provisions that conflict with a formal will. Cal. Prob. Code § 6111. People who die without a will have their estate disposed of through intestate succession to surviving heirs. 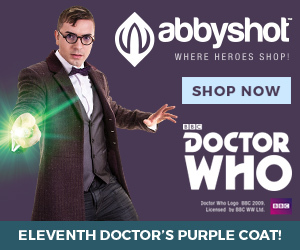 This can also cover property not covered in a will. Cal. Prob. Code § 6400. 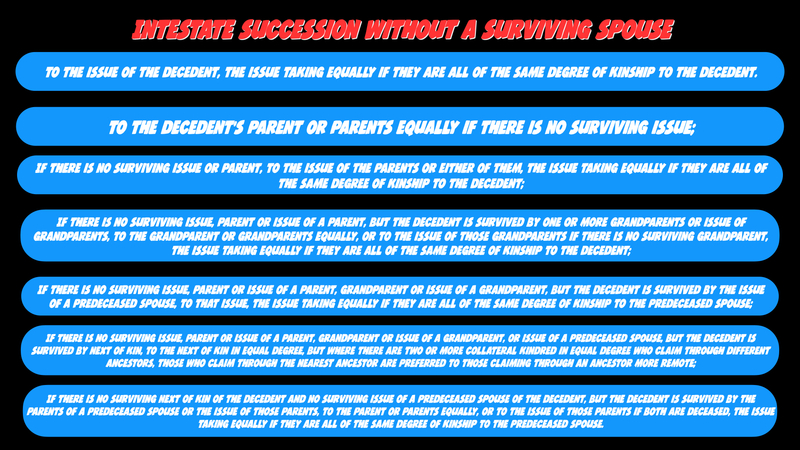 It is easiest to think of intestate succession as flowcharts contingent on whether there is a surviving spouse. What Will Happen to the Courts in the MCU? Courts across the United States would be flooded if half the population turned to dust. County offices would literally and figuratively be buried in the dust of deceased as they processed death certificates. State Courts that already do not have enough judges currently would have LESS judges to handle the flood of probate cases. For example, San Francisco has a population of 870,887 people. Assuming the courts hear 40 cases a day, the influx of 435,444 probate petitions would shatter the court system. Consider the family of Hank Pym, Janet van Dyne, and Hope van Dyne. All three characters died in the mid-credits scene of Ant-Man and the Wasp. It is highly likely that there are no other surviving family members. 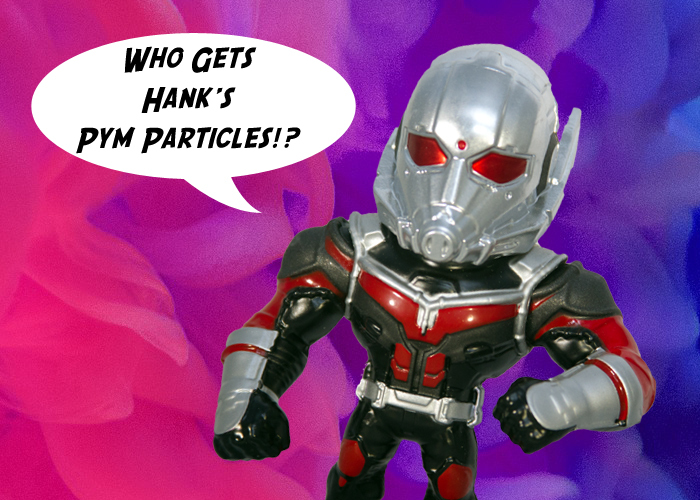 If Hank Pym had a will, the probating of his technology could go to a colleague in the event he had no surviving family. However, there is a strong (and terrifying) likelihood that all of Pym’s technology could escheat to the state if not covered by a will and there is no one to take by intestate succession. The other nightmare scenario related to probate is the payouts for life insurance policies would cause that industry to collapse. Assuming the US population in the MCU is 326,766,748, then 163,383, 374 people died at the end of Infinity War. Assuming 20% had life insurance policies there would be approximately 32,676,675 life insurance claims. If each insurance policy was for $150,000, the total payout would be $4,901,501,220,000. There would need to be Federal bailouts to keep life insurance companies out of bankruptcy. The process for payouts would likely be protracted, as survivors would need to acquire death certificates from counties. As there is only dust left of Thanos’s victims, identifying people would be ripe with fraud, as there is no way to identify a pile of dust. Insurance companies would fight paying out survivors to avoid a total melt down of the market. All of these issues would fall to already taxed Courts, which would be operating at half of capacity with a massive increase in case load. However, ideally the Avengers do not spend time figuring out how to help probate courts, but how to undo the damage created by Thanos. It would be easier to figure out how to respond to mass resurrection of victims instead of probating universal genocide. Previous articleDid Hela Commit Desecration of Corpses in Asgard?